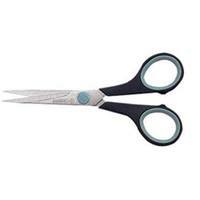 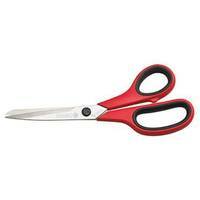 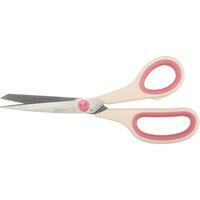 Mundial 5.5in Hobby/Craft Scissors have strong stainless blades that cut through layers of fabric and threads with ease. 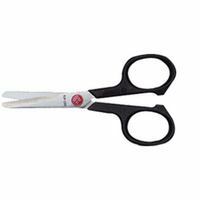 The matte black handles of the Mundial 5.5in Hobby/Craft Scissors are crafted from polypropylene which prevents slippage while cutting. 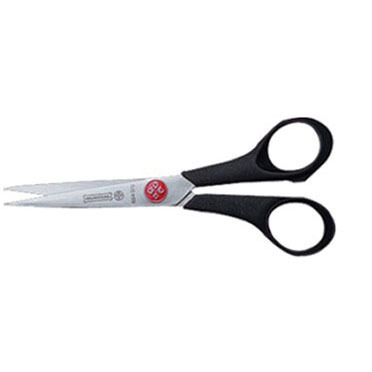 The red button on the stainless steel blades of the Mundial 5.5in Hobby/Craft Scissors protects the adjustable pivot assembly.